The Weekly Stuff Podcast #206 – Twin Peaks Finale Review, Yakuza Kiwami, Mario + Rabbids & More! This Sunday, David Lynch’s masterful Twin Peaks: The Return came to an end on Showtime, with Parts 17 and 18, and as one of our favorite things we have ever talked about in six years of this podcast, we had a lot to say on the perfect and provocative ending. As in, almost three hours worth of things to say. 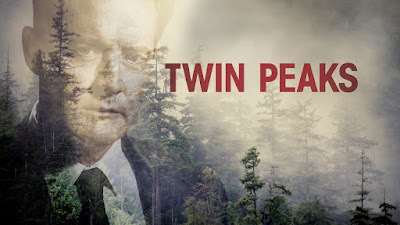 But if you don’t watch Twin Peaks, fear not! There’s another hour of content at the top of the show, in which we discuss the re-release of Close Encounters of the Third Kind, go over the news that Colin Trevorrow has been booted from Star Wars Episode IX, and offer reviews of Yakuza Kiwami for the PS4 and Mario + Rabbids: Kingdom Battle for the Nintendo Switch. And then we talk about the weird, wonderful, soaring send-off to the world of Twin Peaks, if you’ve been following along.